HORRY COUNTY, SC (WMBF) - Those who live in Horry County should check their mailboxes, as there's a chance they'll find a small yellow card in there. It's an important card, asking Horry County residents to take part in a county-wide survey to improve living. "This allows us to really look and see where the needs are. You know, the people in District 10 may need roads, and the people in District 3 may need something different. 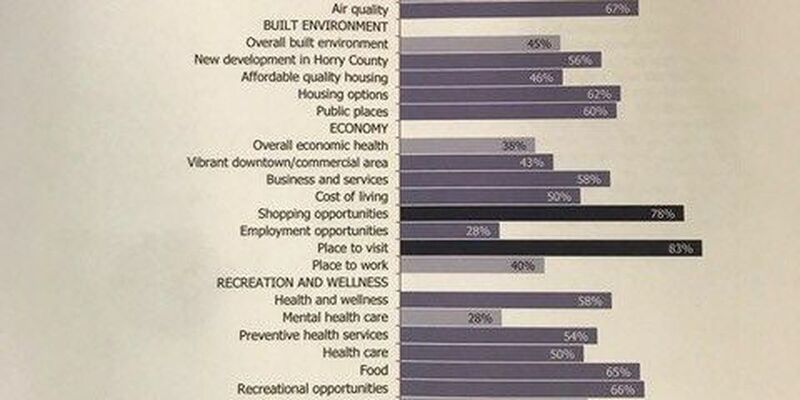 So this allows us to really see where we need new facilities or where we need to make additional outreach to the citizens involving everything from public safety to parks to livability just in general," Kelly Brosky, the interim Horry County spokesperson, said. The first National Citizen Survey for Horry County was sent out in 2015. County officials commissioned the National Research Center, Inc. to conduct the survey on a bi-annual basis. Brosky said 3,000 surveys will randomly be sent out to households in Horry County. Those who receive one can give their responses anonymously. According to Brosky, responses represent the council district residents live in. Those answers help county council representatives choose citizen-based improvements for specific areas. First, certain residents will receive a yellow card in the mail alerting them that they've been chosen as part of the survey's random sample. Then, they'll receive a survey packet in the mail. Postage for sending those answers back via mail is pre-paid, but the packet includes directions to complete the survey online instead. The surveys cost the county $21,000, Brosky said. WMBF News is waiting to hear back how many of the 2015 surveys were received back. The 2017 survey results will be due by this November. Council members will review them during the November planning retreat to base goals and changes for the next fiscal year. The National Research Center, Inc. is commissioned in various counties across the country to study county needs with the National Citizen Survey. "It really impacts everything to do with Horry County government because, you know, they're really going to be asking questions: Is this a good place to retire? You know, do you want to raise a family here? Do you feel safe? It really does encompass just about everything. So it lets us see if we've met our goals from the previous year, or if we need to modify them slightly for the next year," Brosky said. For more information on the 2015 responses, review the results slideshow from the National Research Center, Inc. that is attached.